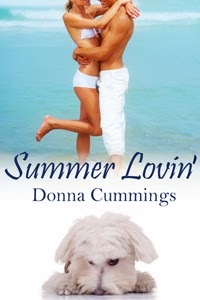 Donna Cummings, welcome back to Romance Lives Forever. We're excited to interview your character, Aphrodite, from the book, Lord Rakehell's Love. Simon is known as Lord Rakehell, so any sane woman would be wary of wedding a man of his reputation. He truly loves Georgiana, and is determined to prove it to her, but how can he convince her after being late to their wedding? I am the Greek Goddess of Love, and I adore jewelry, and all things involving beauty and love. However, I have recently grown bored with the perfection of my existence. Who can bear to eat ambrosia and nectar every single day? I decided I would entertain myself by helping mortals find their one true love. And what better place than Regency London, where they are enamored of anything to do with the ancient Greek world. I utterly adore him, even though he loves war, and fighting, and conflict of all kinds. He is the complete opposite of me, which may be why we are so passionate for each other. It is also what gave me the idea to play matchmaker. Or maybe I should say "mismatchmaker". It hasn't gone as smoothly with Lord Rakehell and Georgiana as I'd hoped. . . But I'm confident I can remedy everything. After all, my reputation is at stake here. What would Ares say is your biggest weakness? I adore my life! I am having so much fun masquerading in Regency London as Lady Aphrodite Carramont, with only Ares aware of my true identity. I'm not sure when I'll be ready to return home to Mount Olympus. It could be a while. That everyone would fall madly in love with their one true love and live happily ever after. BUT, only after I've had a chance to be involved, of course. It wouldn't be much fun otherwise. I'm definitely looking forward to the next rogue on my list, the one known as Lord Wastrel. He's proving to be a bit of a challenge. I don't suppose I can say the bedchamber I share with Ares, can I? Well, that is still my answer, even if I shouldn't say so. Currently I reside in New England, although I fantasize about spending the rest of my days in a tropical locale, wearing flip flops year-round, or in Regency London, scandalizing the ton. I can usually be found on Twitter, chatting about writing and coffee, or on Facebook, chatting about coffee and writing. Loved this story. Can't wait for Lord Wastrel! Thanks, Virginia! I'm so glad to hear that!